At Registria, we continue to help global brands connect with their customers through preferred communication channels. In addition to our Photoregister for Facebook Messaging app, we just released Photoregister for LINE, the number one instant messaging app in Japan. Photoregister for WeChat, an insanely popular messaging app in China, is coming later this year. The timing for these updates couldn’t be more perfect. Recently, Registria CEO, Chris McDonald, and I met with a number of executives at leading brand headquarters across Asia, with stops in Tokyo, Seoul, Shanghai, and Singapore. We also attended the third annual Consumer Electronics Show Asia (#CESAsia) in Shanghai. 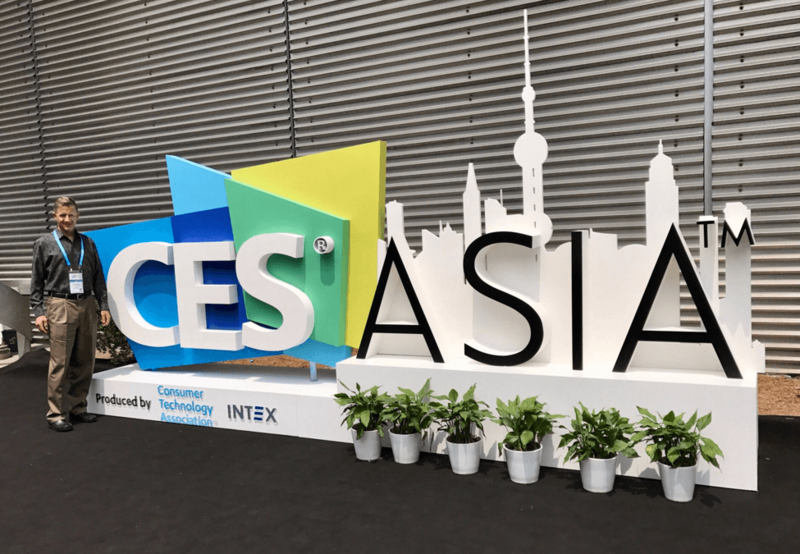 As with its American Counterpart, CES Asia is the premier event for innovative manufacturers from the consumer technology industry to showcase their latest products to an eager audience. This year’s show was larger than previous years, with 450+ exhibitors from 22 countries across five exhibit halls. As we traversed the floor, it was clear that consumers in China have an appreciation for the same new technologies as Americans. Popular products included smart cars, smartphones, wearables, gaming, virtual reality, AI (artificial intelligence), and more. 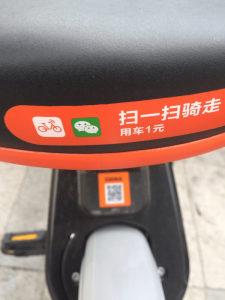 On the other hand, there were also obvious differences, such as the ubiquity of QR codes (we even saw codes on people) and the extensive use of mobile payments. There’s also the impressive adoption of real-time messaging, in particular the mobile messaging app WeChat. According to Mary Meeker’s 2017 Internet Trends report, 35% of time spent on mobile in China is on WeChat. With 889M active users a month, WeChat (aka, Weixin) is used not only to send instant messages, but also buy movie tickets, pay utility bills, and other services that make people’s lives more convenient. It’s also the top workplace communications app for 90% of the professional workforce. The widespread adoption of WeChat goes along with China’s preference for online shopping. According to the Consumer Technology Association, 61% of Chinese consumers prefer to shop online, compared to 11% who prefer to shop in-store. WeChat’s appeal is similar to that of LINE, used by more than 170M people in Japan, Taiwan, Thailand and Indonesia, with inroads into the U.S. Like WeChat, LINE lets people do more than just send instant messages; the company’s goal is to become a “smart portal” that leverages AI. Add in the 1.2 billion monthly users of Facebook Messenger, and it’s clear that instant messaging is a technology that has found its footing around the globe among consumers who are becoming ever more digitally-savvy. As our 2017 trends report shows, there’s also a growing preference among consumers for registering products with brands using digital channels like messaging apps and SMS. It’s an exciting time in the evolution of customer onboarding!